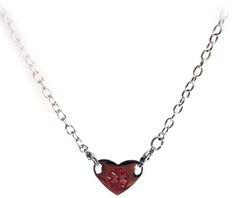 Our heart Surgical Stainless Steel heart medical id alert necklace is great for anyone. 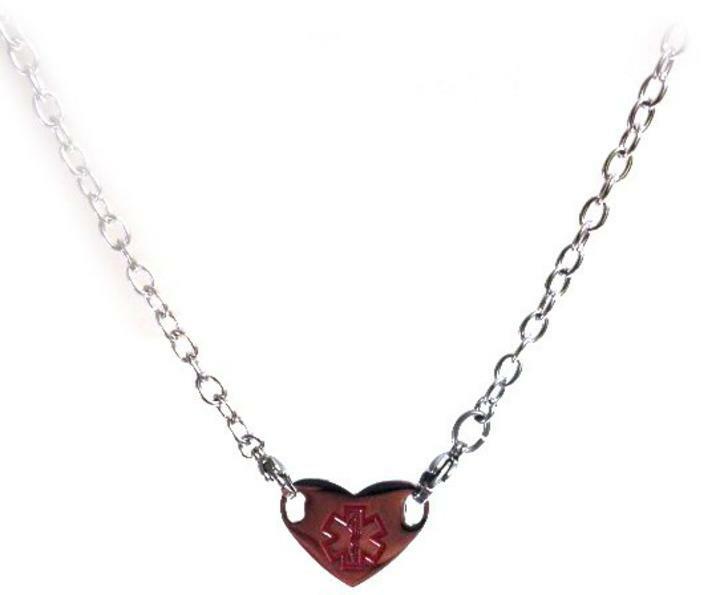 The medical alert plaque measures 1 x 3/4" and has an large engraved medical id alert symbol on the front.The chain is stainless steel 24 inch and comes with lobster clasps on each end, Our heart medical id alert necklace can also can be attached to our leather bolo bands, or our beaded medical id bands or even be used as a shoe tag. Engraving is availble on the back of our surgical stainless steel heart plate. FREE TRADITIONAL ENGRAVING Choose either a pink medical symbol or red.